After my trip to Thailand I have finally got myself around to updating my blog. I have been so busy (and a bit lazy) since getting home but I have been itching to do some posts about my newly found love for MAC makeup. 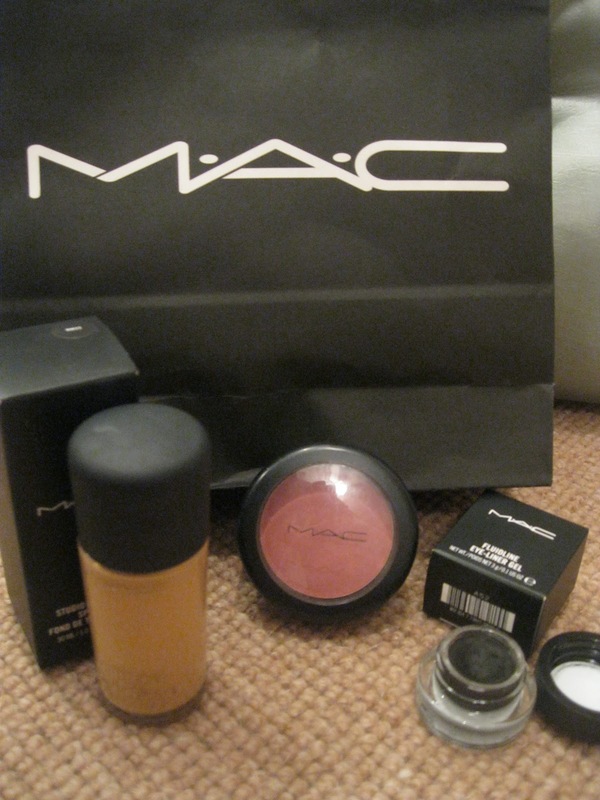 As you can see a few weeks ago I treated myself to a new foundation, blusher and gel eye liner. 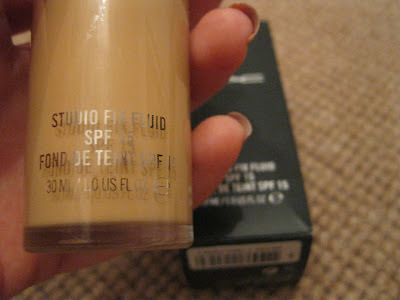 To start off see exhibit A:My Studio Fix Fluid foundation! 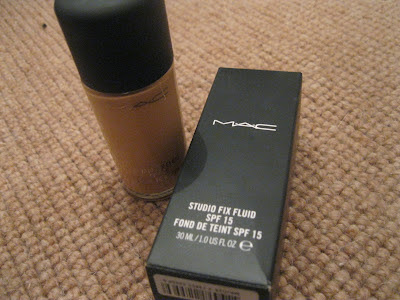 At £20.50 I spent a little more than I have in the past on a foundation but I can honestly say it is completely worth the money. My skin is very temperamental and although it is combination/oily, in the past certain foundations which claim to have a 'matte finish' have really dried out areas of my face as my skin is very sensitive. Therefore it was really important for me to get the right balance. I was pleasantly surprised to find that whilst it doesn't dry out my skin, nor does it leave an oily or shiny finish. It is also really long wearing and after a day in the office I have not needed to do my usual lunchtime re-application which I expected to. The coverage is perfect in that it evens out skintone without giving that caked look which I loathe-no orange foundation lines on the jawline! It can be applied thinly for daywear or layered for maximum coverage in the evening or a night out. It also has the all important SPF 15 to protect against sun damage which to me is crucial in a foundation and moisturiser. My only complaint is that the bottle does not have a squirter at the top and sometimes the pouring can end with mess!